According to various Montana media accounts, the third, final, and top Calumet Montana Refining hydrocracker section, bound for Great Falls, Montana, and hauled by recent Oregon megaload-dropping Bigge Crane and Rigging, left the Dell, Montana area on Wednesday evening, October 1 [1, 2]. Its arduous trek traversing Interstate 15, U.S. Highway 287, and Montana Highway 200 may require seven or fewer nights, like the second, heavier load. Ongoing news breakdowns, if not blackouts, suggest that it may have entered Montana over Monida Pass by road, not by rail like the second such transport that crossed two Indian reservations [3, 4]. Uncritically publishing the September 29 Montana Department of Transportation (MDT) press release, the local, weekly Dillon Tribune newspaper finally printed front-page news of the move, but claimed no previous knowledge of these two heaviest-ever, regional megaloads weighing over 1.3 million pounds . Despite MDT statements to the media, veterans of four-plus years of megaload opposition cannot trust MDT’s assertion that “there are no more expected ‘megaloads’ on the calendar, using any of the routes through Montana” . As Wild Idaho Rising Tide (WIRT) and allies prepare for anti-megaload actions, heeding the same reasons we have always resisted fossil fuel evils, Washington and Idaho activists are still deliberating our travel options (that need your donations!) and anticipating that this behemoth could arrive in Great Falls as early as Wednesday night, October 7-8. Because minimal and broken MDT website links to the presumably similar second megaload transport plan perhaps purposely offer little information, we contacted MDT, asking where on its website concerned citizens could find the Bigge transportation plan for these megaloads . MDT staff replied that, “As of this evening (Friday, October 3), the current, parked location of Bigge Crane and Rigging’s megaload is milepost 108.8 on Interstate 15 [about 17 miles south of Butte]. 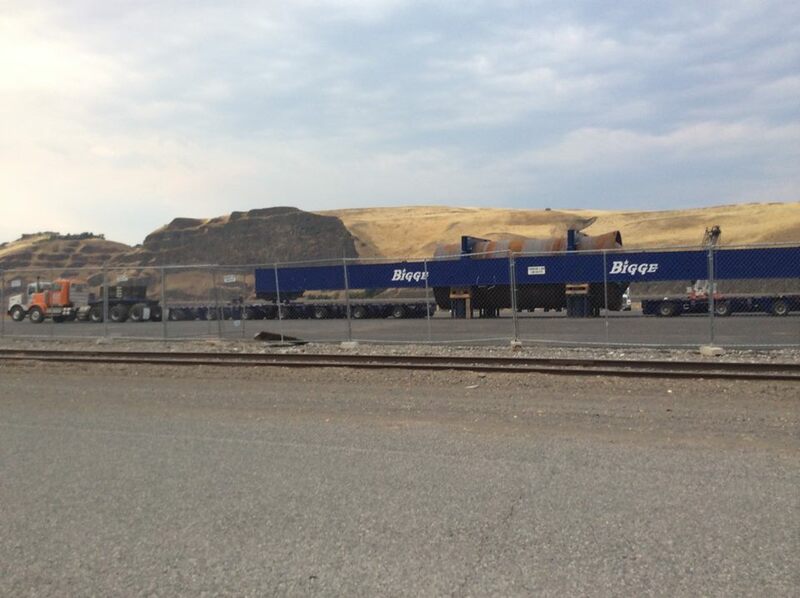 They are expected to remain parked until Sunday night, at which point they will go through Butte.” MDT referred additional questions regarding travel routes, planned stops, and past moves to Motor Carrier Services Division Administrator Duane Williams at 406-444-7312 or duwilliams@mt.gov. WIRT’s best, mapped guess of the progression of routes and layover spots of the third Bigge/Calumet megaload in Montana, based on all currently available agency and media information, follows . Multiple on-site and network sources confirmed at about 9:30 pm on Friday, August 15, that the Calumet tar sands refinery hydrocracker section hauled by Bigge Crane and Rigging would not move on Friday and Saturday nights, August 15 and 16. 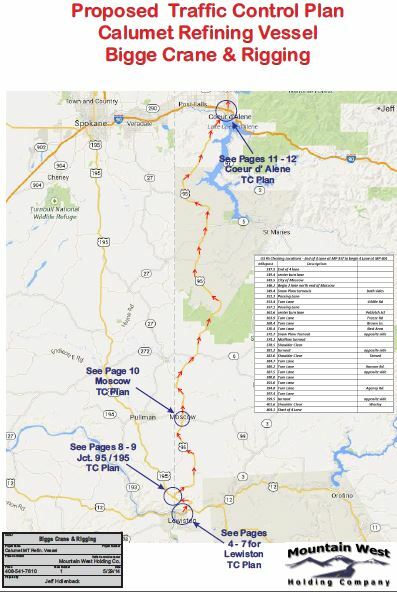 Although the Montana Department of Transportation (MDT) has released the Bigge transportation plan for hauling this million-pound transport on the most convoluted route ever across Idaho and Montana to Great Falls, and several mainstream media sources have circulated information about its Montana route, it is unclear whether MDT has yet issued Bigge a Montana megaload permit . The agency generally does not allow oversize rig travel during the day or on weekend (Friday and Saturday) nights. As Wild Idaho Rising Tide (WIRT) compiles a comprehensive report about the last week of megaload protesting, monitoring, and formal petitioning in Idaho, as well as a description of upcoming Montana megaload transit plans and associated resistance, please provide an appropriate send-off to the Bigge/Calumet load and convoy that have so thoroughly degraded public resources and democracy in Idaho. Wild Idaho Rising Tide is deeply grateful for the enthusiastic and experienced commitment and camaraderie of the progressive Idaho panhandle community, shared during respective Thursday and Saturday Sandpoint protests of this inbound refinery component and outbound coal export shipments. We are depending on the strength and spirit of a great group of protestors converging in Hope and Clark Fork to oppose the passage of the Bigge/Calumet hydrocracker megaload on its last night in Idaho. Early on Friday morning, Bigge parked its payload, trailers, and trucks at Idaho Highway 200 milepost 44.4, just west of Hope, Idaho, in anticipation of movement on Sunday night or later . The convoy will travel on Business Highway 200 through Hope and East Hope, use jump bridges to traverse Strong and Riser Creeks, and risk sharp turns from Wellington Place to Centennial Boulevard and back onto Highway 200, not to mention the hazards of roadside cliffs and sloughing roadway along nearby Lake Pend Oreille wetlands and shorelines. Please see Idaho and Montana Bigge transportation plans posted on the WIRT website and bring your friends, family, and protest signs to gather outside the Old Ice House Pizzeria, 140 West Main Street in Hope, at 9 pm on Sunday, August 17, and to monitor and protest the last 18 miles of this Alberta tar sands/Bakken shale oil infrastructure onslaught through Idaho [3-5]. A megaload that left the Port of Wilma Sunday is taking a break after encountering peaceful protests in Moscow and Lewiston. The hydrocracker section bound for a Calumet refinery in Great Falls, Montana, is at the Latah/Benewah county line, about 25 miles north of Moscow, said Idaho State Police Captain Lonnie Richardson. It will wait to resume its trip until at least this evening, so that its movements can be coordinated with construction farther north along U.S. Highway 95, Richardson said. The state police officers are being paid by Bigge Crane and Rigging, the contractor hauling the megaload, to travel with the shipment. Richardson said troopers are there to coordinate emergency responses, make sure other vehicles on the road don’t face significant delays, and to prevent protesters from blocking its progress. So far, he said, the protesters haven’t presented much of a problem. The megaload haul containing a huge piece of a hydrocracker, equipment for use at a Great Falls, Montana, oil facility, left the Port of Wilma on Sunday night and cleared the Lewiston Grade before pulling off U.S. Highway 95 at mile post 320 at 2:18 am, according to the Idaho Transportation Department. It’s expected to continue traveling north on U.S. 95 tonight. It can move between the hours of 10 pm and 5:30 am and is expected to reach Moscow late tonight or early Tuesday. The haul is 311 feet long, 21 feet wide, and 16 feet, 8 inches high and weighs 926,000 pounds with interconnected trailers and trucks. An additional 160,000 pounds of towing equipment was required to reach the top of the Lewiston Grade. Moscow environmental group Wild Idaho Rising Tide is expected to be waiting for the megaload in downtown near City Hall tonight, to demonstrate against the shipment – and its purpose. Lewiston: Sunday, August 10, 9 pm: Arrive at the park/boat launch at Frontage Road and Steelhead Way, before the convoy closes Frontage Road, and expect to move to multiple locations as the megaload progresses. Carpools depart from Third and Washington streets in Moscow at 8 pm (http://goo.gl/maps/BG4dt). Moscow: Monday, August 11, 10 pm: Meet at Third and Washington streets outside Moscow City Hall. Although this venue attracts too much police presence, it endures as the defacto megaload protest location. The gargantuan load mounted the Lewiston grade and parked at Highway 95 milepost 320 at 2 am on Sunday night and will likely cross Moscow before midnight on Monday night (http://goo.gl/maps/4x0BQ). Plummer: Wednesday, August 13, 10 pm: Converge outside the Warpath, before the Bigge megaload likely crosses Plummer at 11 pm or midnight. Carpools from the Palouse region depart Third and Washington Streets in Moscow at 9 pm (http://goo.gl/maps/G5IV8). Coeur d’Alene: Wednesday/Thursday, August 13-14: Come to the corner of West Linden Avenue and Lincoln Way at a time and date (early Thursday morning?) to be announced. Carpools from the Palouse region depart Third and Washington Streets in Moscow at 9 pm on Wednesday (http://goo.gl/maps/0WWbv). 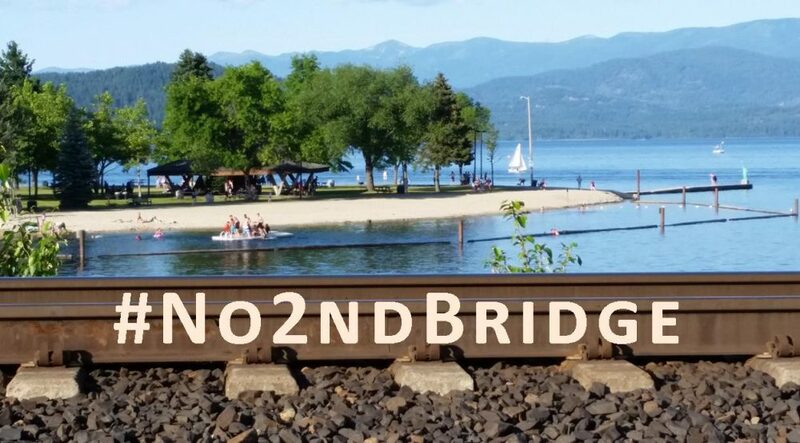 Sandpoint: Thursday, August 14, 5 pm & 10 pm: Assemble at 5 pm for a community meeting in Sandpoint Library rooms 103 and 104, and at 10 pm outside the Conoco gas station on East Superior Street, before the Calumet megaload crosses the Long Bridge at 11 pm, midnight, or later (http://goo.gl/maps/ryQLa). Hope: Friday, August 15, 6 pm & Sunday, August 17, 9 pm: Bring your friends, family, and protest signs and gather at 6 pm on Friday for a community meeting in the upstairs room of the Old Ice House Pizzeria, 140 West Main Street in Hope, and at 9 pm on Sunday outside the Old Ice House Pizzeria, to monitor and protest the last 18 miles of this Alberta tar sands/Bakken shale oil infrastructure onslaught through Idaho (http://goo.gl/maps/EMz00). Swan Lake: Sunday, August 24, 9:30 pm: Gather by 9:30 pm at the south end of the lakeside Swan Lake Day Use Area parking lot on the west side of Montana Highway 83, about one mile northwest of the town of Swan Lake (http://goo.gl/maps/zt3nf) . Carpools depart from the east side of the Albertson’s parking lot, 1003 East Broadway Street in Missoula, after 7:30 pm (http://goo.gl/maps/XARbQ). Expect to monitor the convoy and move to multiple protest locations, such as Condon and Seeley Lake, as the megaload progresses. Clearwater Junction: Monday, August 25, 9:30 pm: Meet at 9:30 pm at the Clearwater Rest Area at the Clearwater Junction of Montana Highway 200 milepost 32 and Montana Highway 83 (http://goo.gl/maps/TKy7N) . Carpools depart from the east side of the Albertson’s parking lot, 1003 East Broadway Street in Missoula, after 8:30 pm (http://goo.gl/maps/XARbQ). Anticipate additional megaload monitoring along Highway 200 and protests in Lincoln and other places along the route. Lincoln & Great Falls: Tuesday, August 26, 9 pm: Arrive by 9 pm at the Aspen Grove Campground about six miles east of Lincoln on a short access road off the south side of Montana Highway 200 (http://goo.gl/maps/8SqDf) . Carpools depart from the east side of the Albertson’s parking lot, 1003 East Broadway Street in Missoula, after 7:30 pm (http://goo.gl/maps/XARbQ). Monitors will follow the load and protest its arrival at the Great Falls Calumet refinery during the to-be-announced early morning hours of Wednesday, August 27 (http://goo.gl/maps/42HfG). After eight anxious months and the usual last-minute fiasco to deter legal and physical resistance, the Idaho Transportation Department (ITD) issued a permit for Bigge Crane and Rigging Company early on Friday afternoon, August 8 . The San Leandro, California-based company plans to haul an up to 1,086,000-pound piece of Great Falls, Montana, refinery equipment across northern Idaho over four to five nights, after departing the Port of Wilma near Clarkston, Washington, at 10 pm on Sunday, August 10. The bottom, lightest, one-foot wider section of a hydrocracker, which would assist in tripling tar sands production at the Montana Refining Company owned by Calumet Specialty Products Partners, measures 311 feet long, 21 feet wide, and 16 feet, 8 inches high and weighs 926,000 pounds with interconnected trailers and trucks, when additional pull and push trucks are not powering the transport . Accompanied by Idaho State Police, flaggers, and pilot vehicles every night between 10 pm and 5:30 am, the heaviest and longest shipment to (n)ever cross the region can move at speeds between 5 and 35 miles per hour. It would enter Idaho from the eastern Washington port on Idaho Highway 128, and move north on U.S. Highway 95 up the Lewiston grade, avoiding the bridge over U.S. Highway 195 by briefly sidetracking under the bridge into Washington (with a permit?) and back into Idaho against off-ramp traffic. After journeying through Moscow, Plummer, and Coeur d’Alene and crossing the two-mile Long Bridge to Sandpoint, the megaload would travel east to Montana on Idaho Highway 200, the federally designated Pend Oreille Scenic Byway with possible weight restrictions and load limits for the lake shore road partially built on fill material . By Idaho law throughout the trip, the convoy must limit the traffic delays of two-lane blockage to 15 minutes, by notifying the transport driver of approaching and trailing vehicles and pulling off the roadway to let them pass. In less than a Friday hour after ITD’s announcement, Wild Idaho Rising Tide (WIRT) responded to three ITD offices, the Federal Highway Administration (FHWA) in Boise, and the Idaho Attorney General, alerting them to a formal WIRT petition filed by the 5 pm MDT close of the business day. The petition requests an immediate stay and reconsideration of ITD’s permit issuance to Bigge only days before it hauls its oversize shipment across northern Idaho [4-6]. By describing the many potential hazards to public safety, convenience, and road and bridge infrastructure that this megaload would impose, the petition outlines ITD’s subsequent violations of the U.S. Fourteenth Amendment and Idaho rules governing open public meetings, overlegal permits, and ITD operating objectives, as explained by Moscow community radio comprehensive coverage and a WIRT interview about the Calumet refinery megaload saga . Wild Idaho Rising Tide did not receive explicitly requested acknowledgement of WIRT petition receipt from ITD, FHWA, and the attorney general on Friday, although the biggest ever megaload could roll before normal ITD business hours on Monday. But a local reporter noted that, “ITD spokesman Adam Rush said his agency was prepared to receive a petition seeking to halt the shipment and that the matter would be considered over the weekend, before the shipment could legally leave the Port of Wilma… If the WIRT petition isn’t granted, the megaload shipment could pass through Moscow late Sunday or early Monday” . Whether any state officials bother to notify the petitioning group of their decision or just continue to dismiss it as collateral damage on the roadside to ruin remains uncertain. Wild Idaho Rising Tide anticipates filing a formal petition requesting a stay and reconsideration of Idaho Transportation Department issuance of this permit to Bigge Crane and Rigging, submitted by the 5 pm MDT close of business today, August 8, 2014. We would appreciate your acknowledgement of your receipt of this message and this forthcoming petition. Late on Thursday morning, August 7, Wild Idaho Rising Tide (WIRT) received confirmation from a regional journalist that an overlegal load awaiting transport by Bigge Crane and Rigging Company from the Port of Wilma near Clarkston, Washington, to Great Falls, Montana, may move on Sunday evening, August 10, and successive nights afterwards between 10 pm to 6 am. As noted by Idaho Transportation Department (ITD) District 1 business manager Scotty Fellom in Coeur d’Alene, ITD public involvement coordinator Adam Rush in Boise said that ITD is preparing and expects to issue a permit and press release on Friday afternoon, leaving little or no time for public and/or legal recourse during normal business hours. The bottom hydrocracker section would double or triple production of Alberta tar sands crude oil at the Montana Refining Company in Great Falls, Montana, owned by Calumet Specialty Products Partners. Hauled by several heavy-duty pull and push trucks and interconnected trailers, the entire transport weighs 926,000 pounds and measures 311 feet long, 21 feet wide, and one inch short of 17 feet high, the heaviest and longest load to ever traverse the proposed U.S. Highway 95 and Idaho Highway 200 route in Idaho. According to two sources, one at the Lewiston ITD office, the two larger and wider parts of the hydrocracker left the Port of Wilma via rail about three weeks ago. These circumstances lead observers to believe that this shipment is pushing the limits of critical, rural, publicly owned and funded highway and bridge infrastructure. As exemplified in four years of Wild Idaho Rising Tide and allied resistance to such new fossil fuel infrastructure transported as “megaloads” across four states, WIRT and other concerned groups and citizens oppose this latest onslaught. In February 2014, we successfully diverted these three loads from Mammoet USA South’s scheme to build a temporary Interstate 90 on-ramp east of Coeur d’Alene, where previous interchange construction had collapsed into Lake Coeur d’Alene, by insisting on full environmental impact statement review of the project. We will continue to monitor, protest, and petition to halt passage of this Bigge-hauled refinery equipment in Lewiston, Moscow, Plummer, Coeur d’Alene, Sandpoint, Hope, and throughout the region, for myriad, justifiable reasons, including the ones outlined here. Wild Idaho Rising Tide (WIRT) would appreciate WIRT activists stepping forward to design direct actions before the next, heaviest and longest megaload ever to traverse northern Idaho’s dilapidated, publicly-owned infrastructure launches from the Port of Wilma near Clarkston, Washington. Please join us this (and any or every!) Thursday, August 7, at 7 pm at the WIRT Activists House (call 208-301-8039 for directions, if necessary). We plan to share potluck food and strategize and prepare for tar sands megaload and coal export actions that entail more than just showing up and waving signs. Please participate in the many necessary roles and work carried forward by the WIRT collective every day! Through various methods over the next few weeks, we are working to hold state and federal agencies and fossil fuel companies regionally responsible for more transparency, public involvement, and stewardship . On Monday afternoon, August 4, one of WIRT’s amazing Montana allies posted a question on the Montana Department of Transportation (MDT) website and received this polite and prompt reply: “Thank you for visiting our website and your inquiry concerning Mammoet Company or Bigge Crane and Rigging. They have been working through the process, and no permits have been issued at this time.” In his email reply, our friend asked MDT’s Dan Kiely if he could please notify him if MDT grants a permit for this megaload. He is also keeping his Flathead Reservation tribal council friends and other neighbors apprised of the situation. 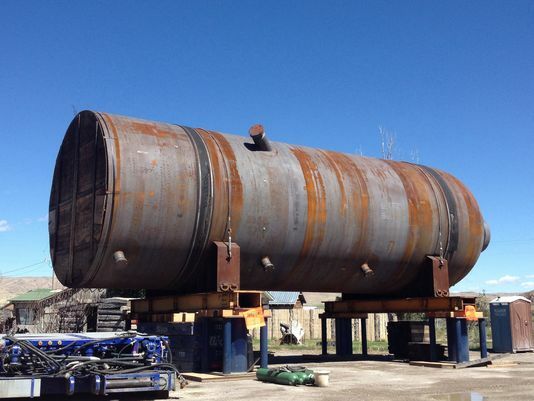 During Tuesday morning and Wednesday afternoon, August 5 and 6, the Montana Department of Transportation sent a follow-up note about the planned Calumet tar sands refinery hydrocracker part shipment to the same Montana comrade. It stated “MDT is planning on issuing a press release prior to any movement in Montana. 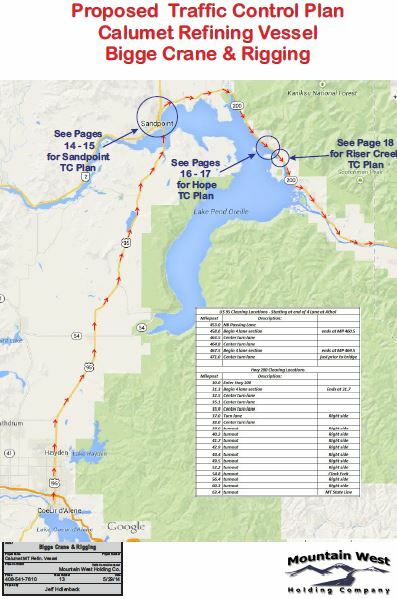 Just for a point of clarification, the proposal that is under review only lists U.S. Highway 93 in the Kalispell area.” Why was MDT so quick to clarify, even without a query ?